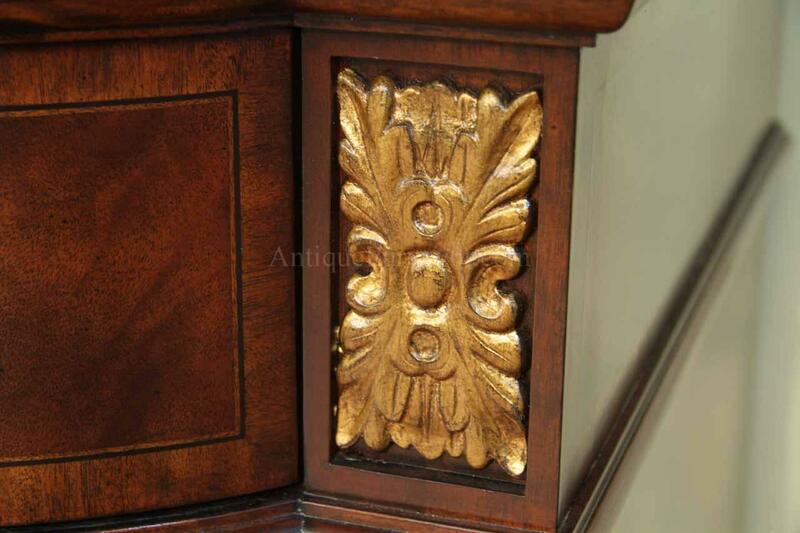 Carvings on this sideboard match a table we have available. 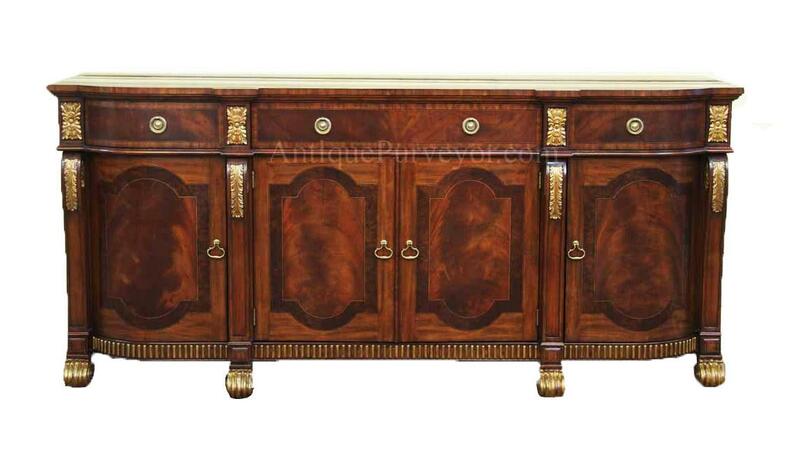 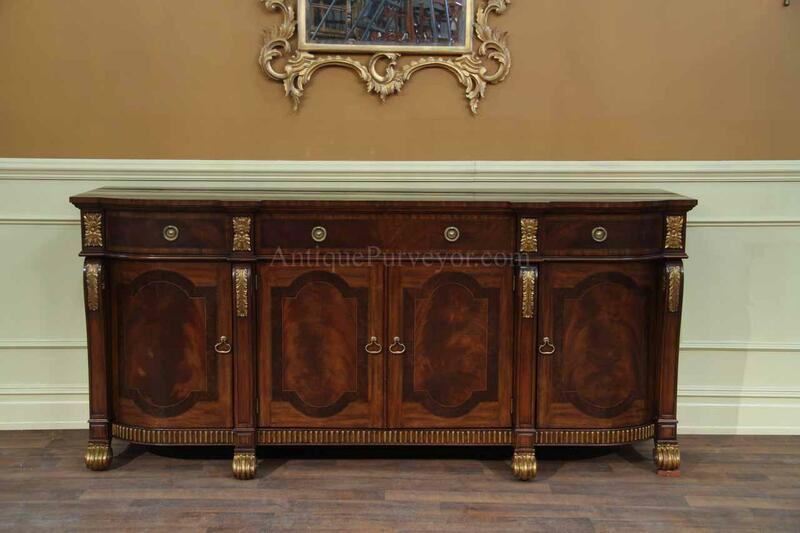 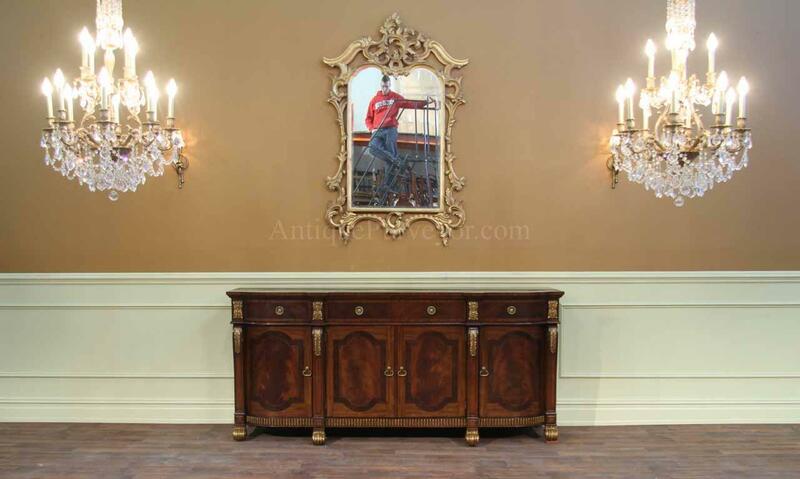 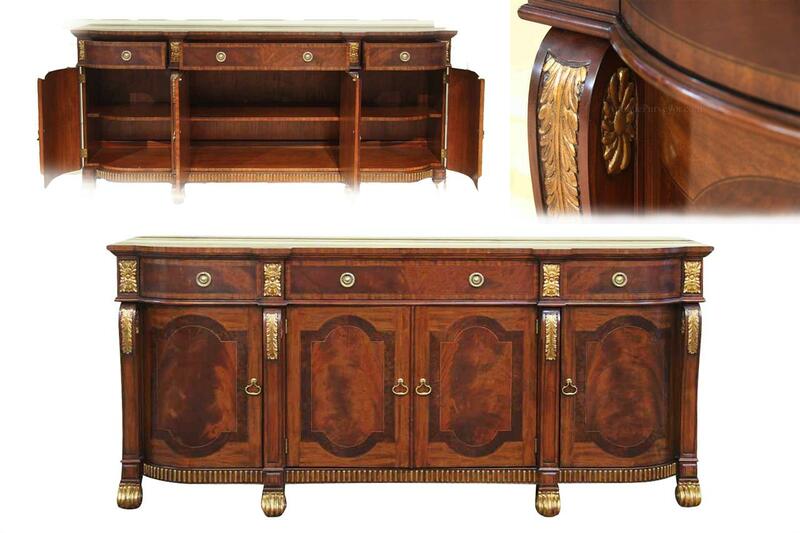 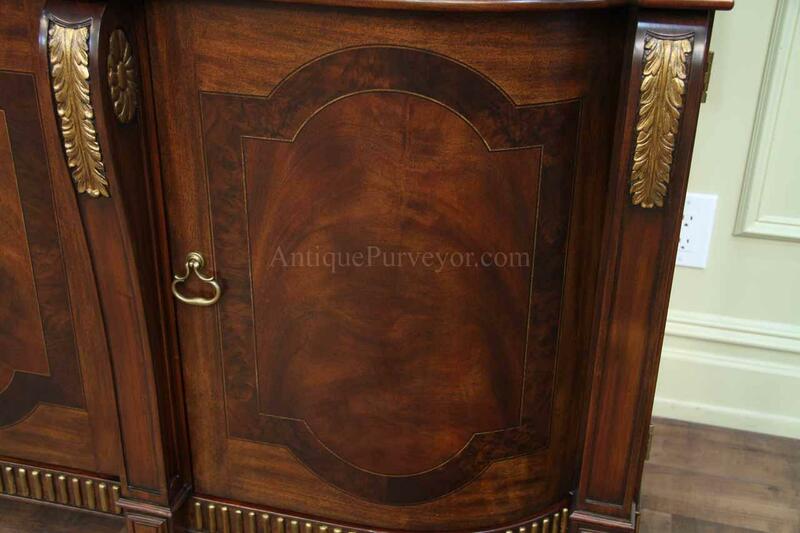 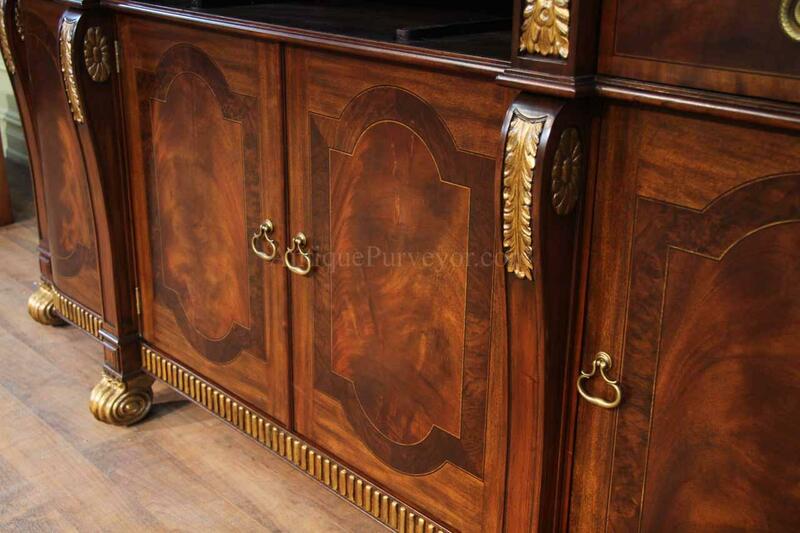 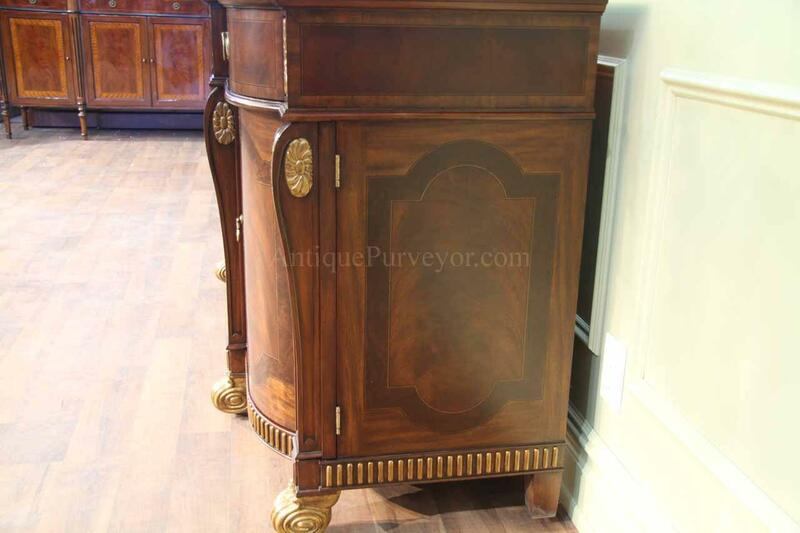 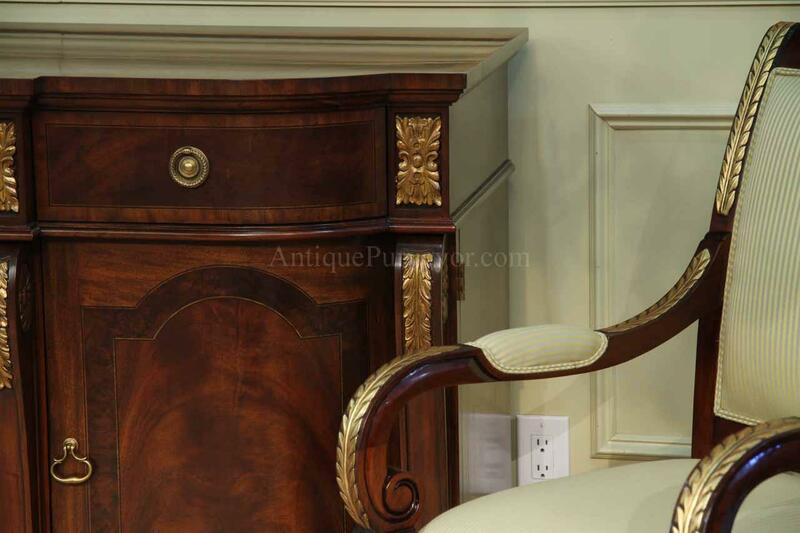 Description: 18th century antique reproduction sideboard for a stately dining room. 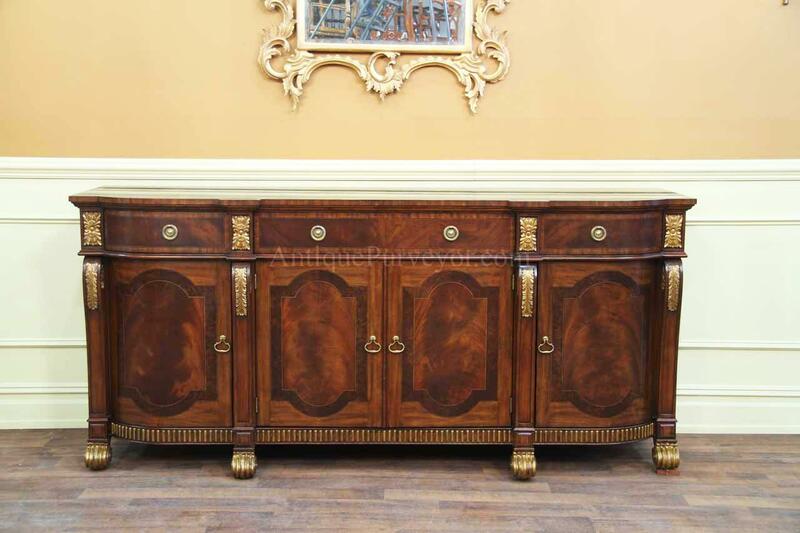 This is a large, well built sideboard carved and accented with gold gilded accents. 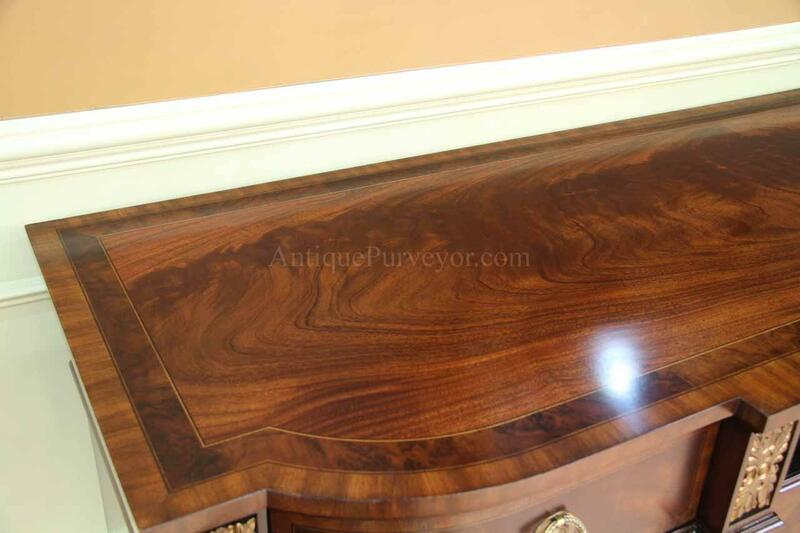 Banded and inlaid crotch mahogany door panels and solid mahogany frame. 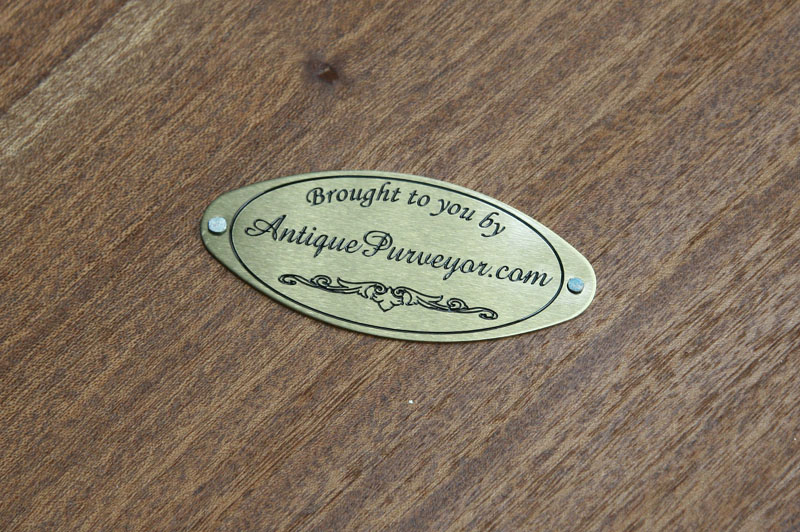 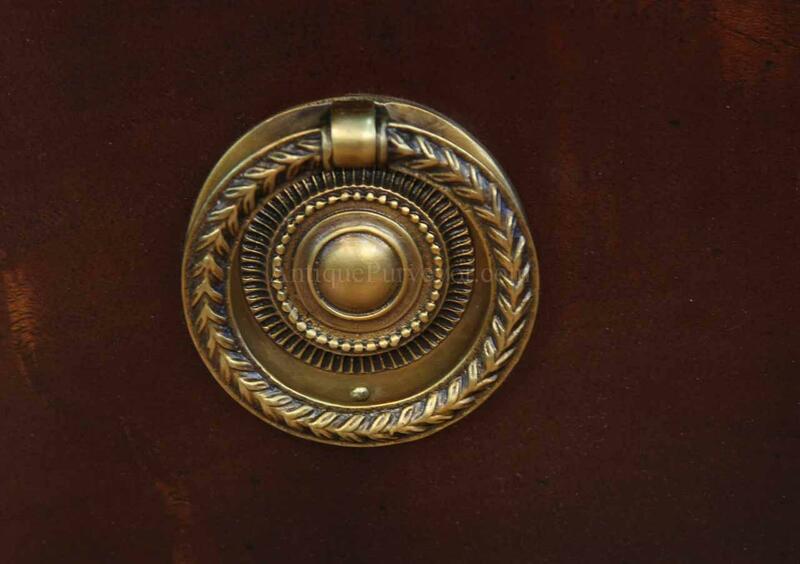 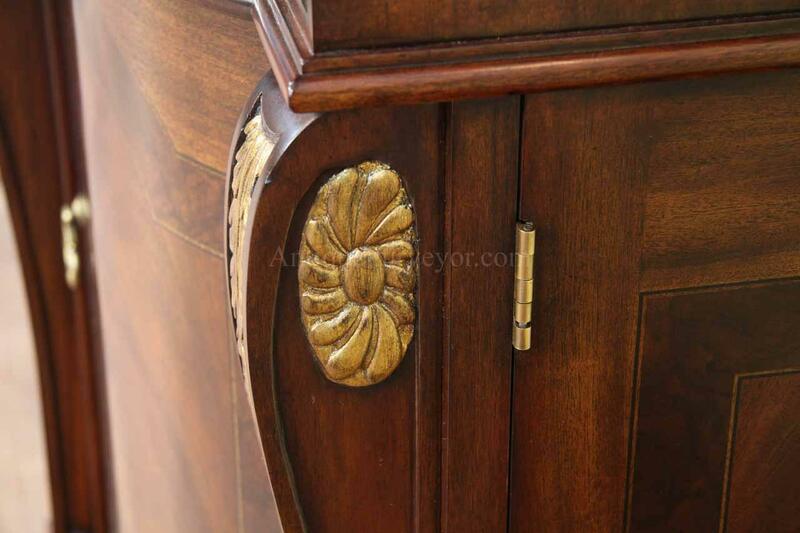 Detailed brass drawer pulls. 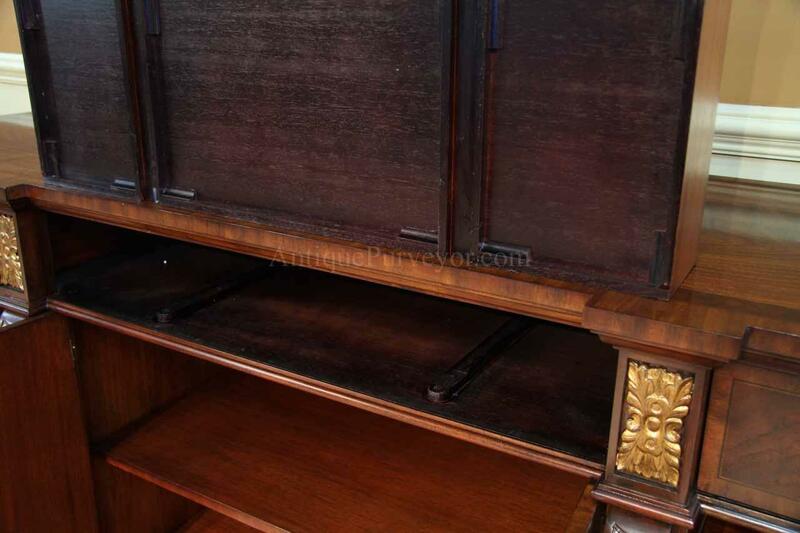 Super cabinet for storing significant amounts of dishware and large serving platters. 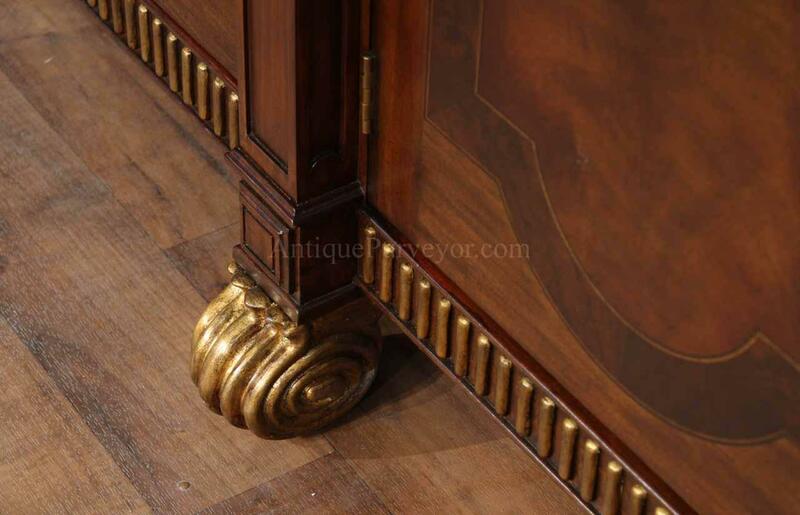 Shelves are heavy and dense. 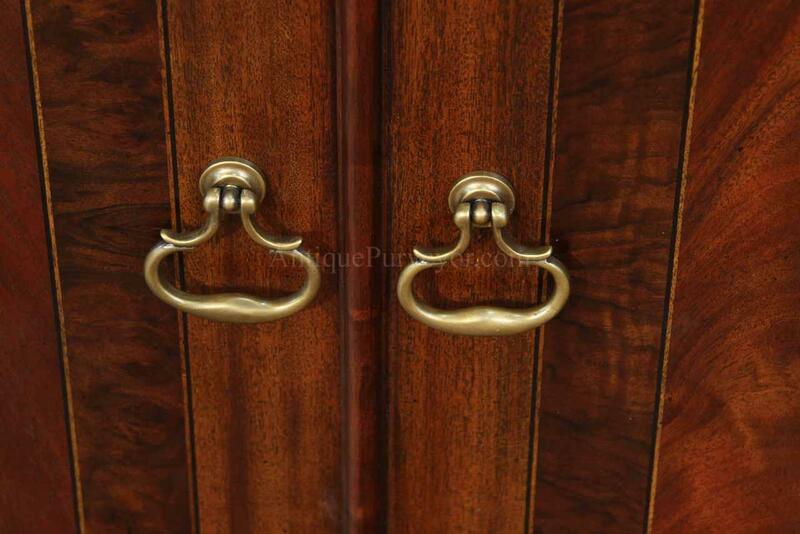 Each shelf has three positions which are support by brass pegs. 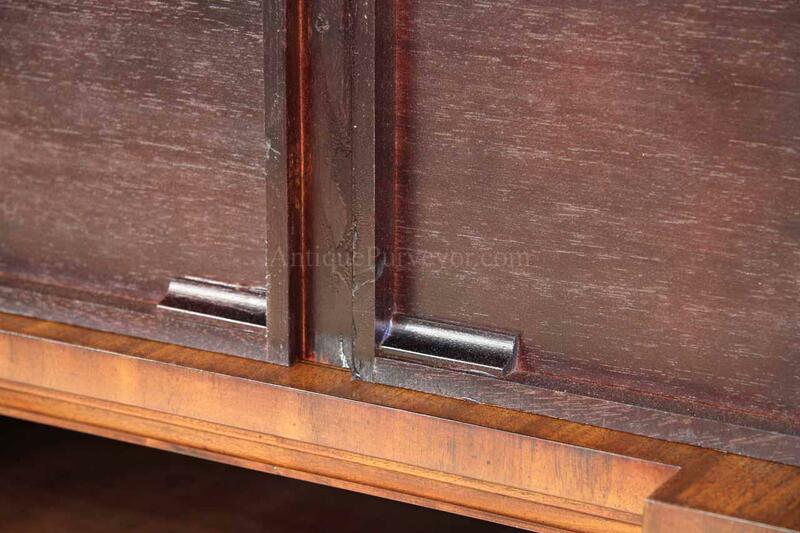 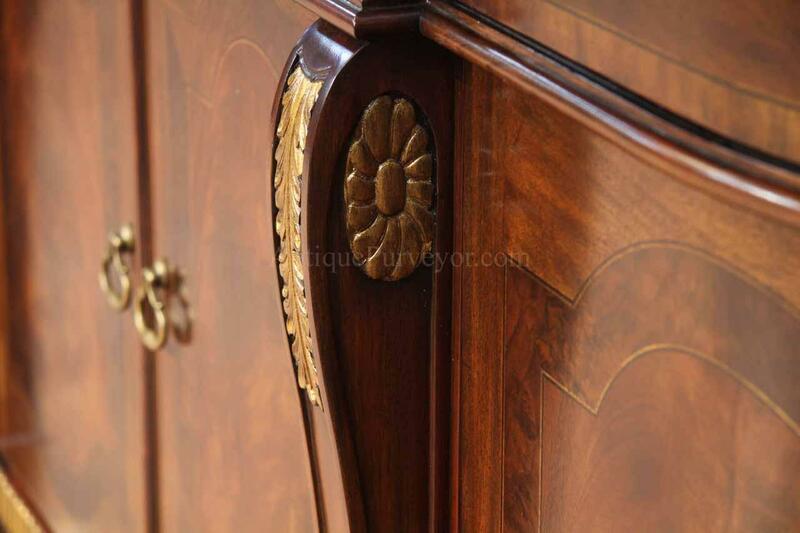 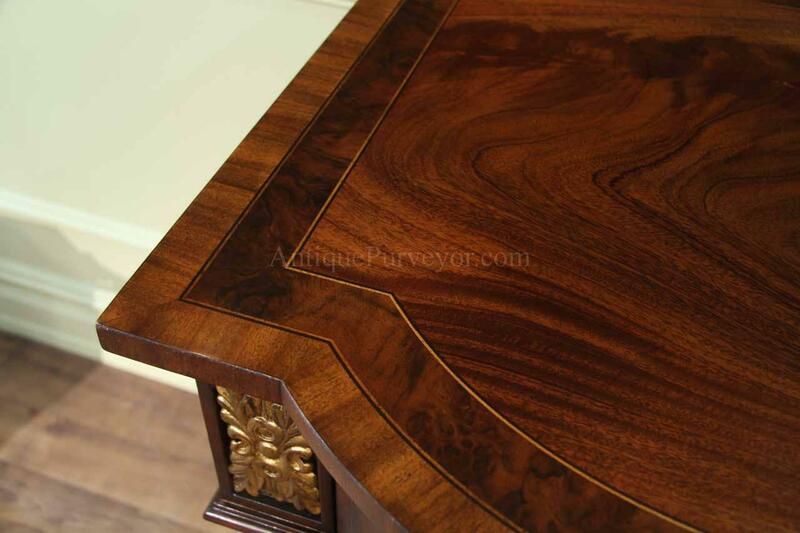 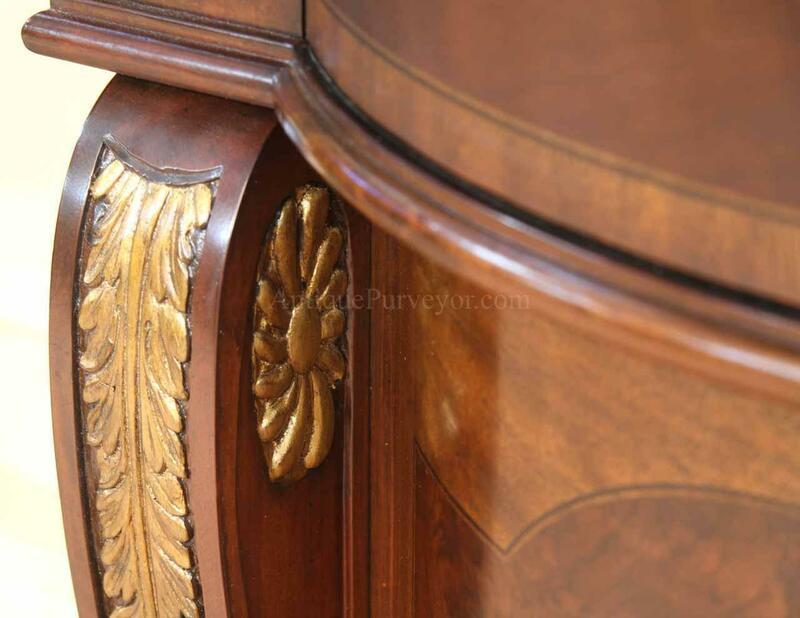 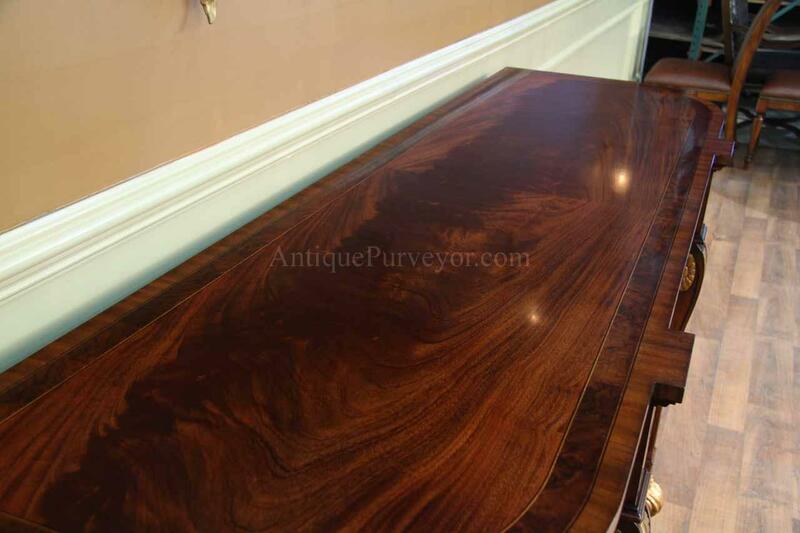 Top of cabinet has a traditional bookmatched crotch mahogany and inlays which coordinate with drawers and doors.